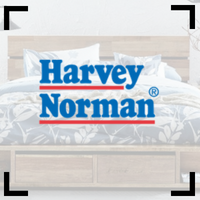 Harvey Norman is one of Australia's largest retailers of electrical, computer, furniture, entertainment and bedding goods. They have comfortable mattresses, beds, and manchester available today. Shop now for same-day delivery on eligible orders in metro NSW, QLD and VIC. Browse their fantastic selection of brands and sizes - from single to super king! The Sealy Posturepedic Gel Series Manhattan Firm feels firm, a bit flimsy, and otherwise unremarkable. A hard sell for the price considering we have tested far nicer mattresses than this one. The Sealy Posturepedic Memory Series Stockholm Plush has a soft and spongy feel to it which strangely still feels a bit dense and isn’t as comfortable as other plush mattresses we have tested. The Sealy Posturepedic Memory Series Stockholm Medium has a spongy feel to the top layer which offers reasonable support but isn’t the nicest mattress to lie on. The Sealy Posturepedic Memory Series Stockholm Firm has a firm yet flimsy feel to it and doesn’t feel nice to lie on. There are better options in this price range. The Sealy Posturepedic Memory Series Vancouver Firm has a firm and flimsy feel to it, and not particularly nice to lie on. For the price we would certainly recommend you look elsewhere. The Sealy Posturepedic Exquisite Vienna Firm feels firm and supportive but has that flimsy bounce to it which may cause some partner disturbance. The Sealy Posturepedic Exquisite Vienna Medium has good support and feels reasonably comfortable. Still it has that typical Sealy ‘wobbly’ feeling. The Sealy Posturepedic Exquisite Vienna Plush is comfortable and feels nice to lie on. Not a bad soft feel mattress but a hard sell for the price.